Talius products are the ultimate security solution for your home, business or institution. Choose from a variety of products to suit your specific security needs. Products are custom made to perfectly harmonize with your business or home. 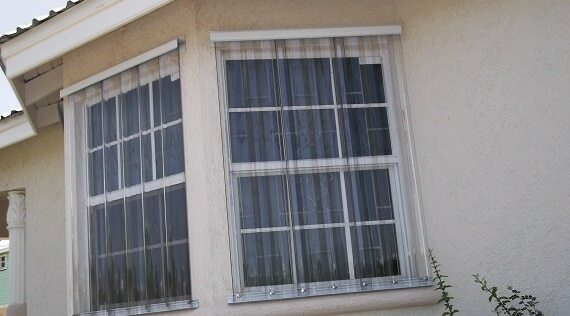 Talius rollshuters are the ultimate solution when you want to protect what is behind your windows. Strong, secure and durable, Talius security rollshutters glide easily into place when you need them and retract into an overhead panel box when you don’t. Talius rollshutters are made from roll-formed aluminum making them durable but light weight. They have a high density, hard resin core. Talius residential and commercial security roll shutters are available with manual or motorized operation and have various additional security features to make sure your home or business is properly secured. Talius rollshutters have the option of a unique two-piece rail blocking access to the hardware, a u-shaped sill preventing prying up of the rollshutter with tools and internal locking mechanisms that hides the locks from the public. Talius rolling shutters have been tested against excessive force making them the ideal choice to protect your home or business. Accordion security shutters are installed on sliding glass doors, balconies and windows and can fold compactly to the side when not in use. 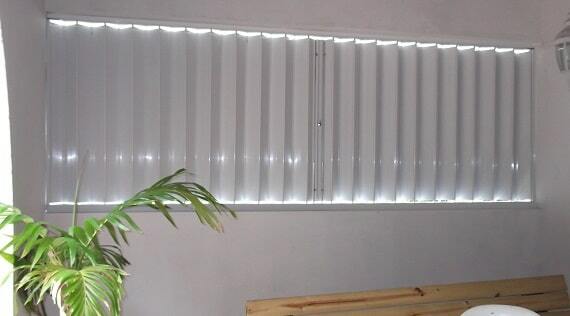 Accordion shutters are durable and offer superior protection and ease of use as no lifting is required. Accordion shutters are easily slid in place when needed, with no lifting required, making them the idea choice for second story windows. Security features such as locks are available for the outside, inside, or both. Talius Clearly SAFE Panels are custom made from a clear poly carbonate material mounted within an aluminum frame, making them light-weight and durable. They are mounted on the outside of your windows or doors protecting your home or business from vandalism and break-ins without obstructing natural light. Designed to harmonize with the exterior of your building Clearly SAFE Panels are an innovated way for you to protect your home or business. Security laminate is used to protect glass from break-ins. Security laminate does not stop the glass from breaking however it does stop entry into the inside of your home or business. Talius residential window security laminate protects against the common “smash and grab” theft method and can be used on your home or business. With over 15 years of experience, Talius is your trusted security solutions provider with a state of the art manufacturing facility. Contact one of our knowledgeable security representatives to find the solution that fits your needs. 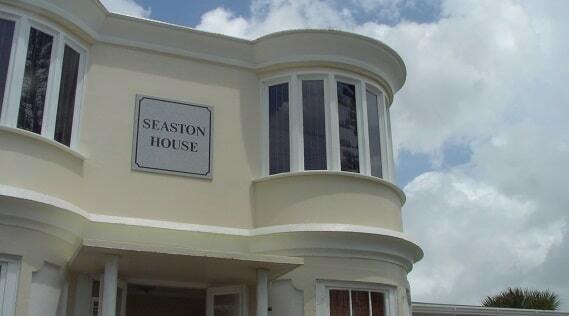 We are serving in areas like Grenada, Barbados, Dominica, St Lucia etc. 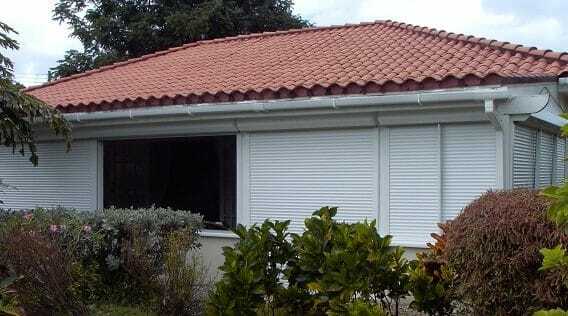 Talius rollshutters are the ideal protection to protect your property from break-ins, vandalism and storms. 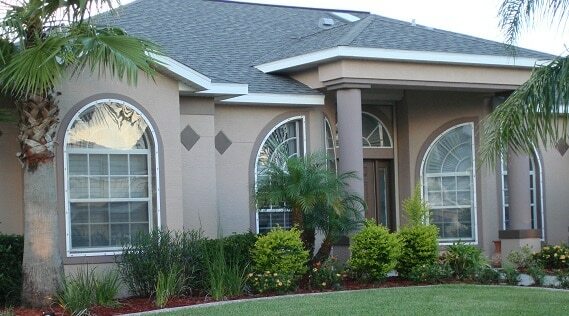 Security laminate is used to protect glass from break-ins and hurricane debris. Talius Storm Panels are designed to provide maximum protection to your home for the least cost.